I immediately decided that up until weigh in on Tuesday evening I needed to do EESP to try and do some damage limitation! I managed, and hoped for the best. Before weigh in, here are some meals from the week! Weigh in time! I went to group a little nervous, but hopeful that my couple of EESP days had done some magic and a bit of damage limitation as I really did not want another gain after doing so well last week. I desperately want to get into that next stone bracket now! 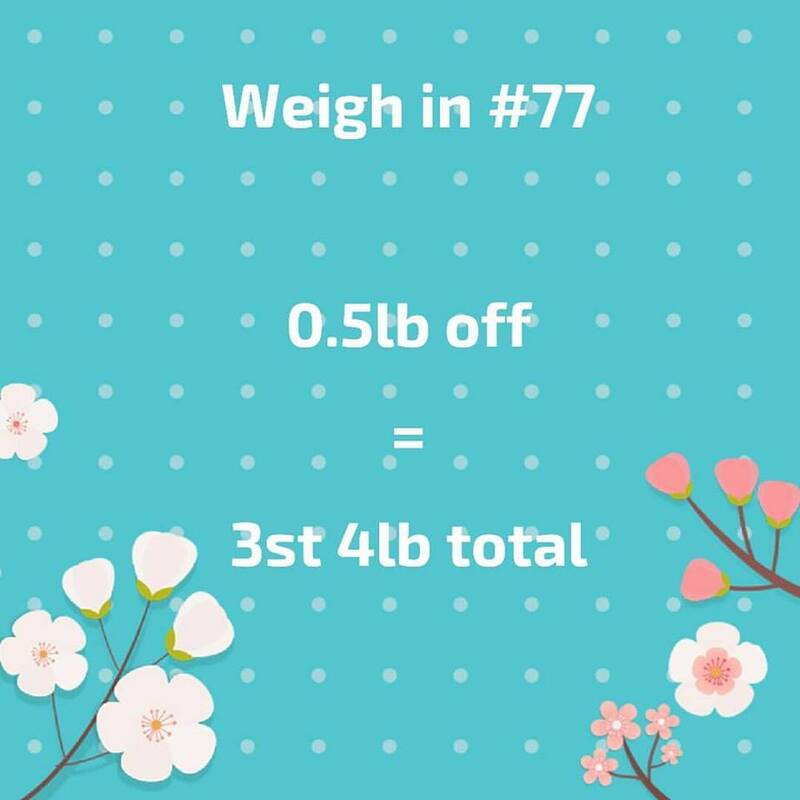 I stepped on the scales and they settled showing I had a 0.5lb loss! Phew! It worked! (Just). I was over the moon with that, believe it or not, as at least it went the right way, and the way I wanted it to. I haven’t got anything planned for this week to steer me off track so hopefully I will smash that next stone bracket next week!